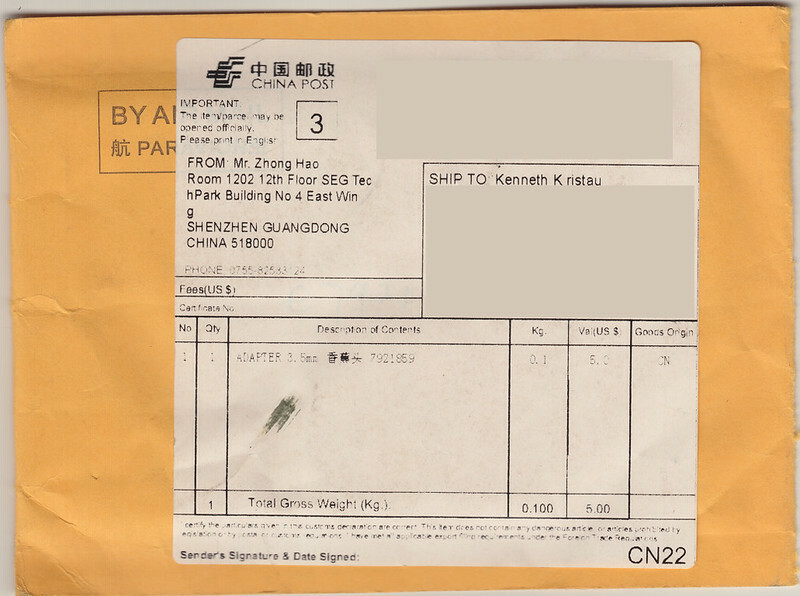 QuadCopter Build 2013: Gold from China! As part of my involvement with the local Maker Space, I’m endeavoring to build a quad-rotor, radio-controlled flying machine based off of the parts list and general direction of the Odd Copter project. Please visit the Area 515 Wiki page for my Quad Copter Build for current progress. 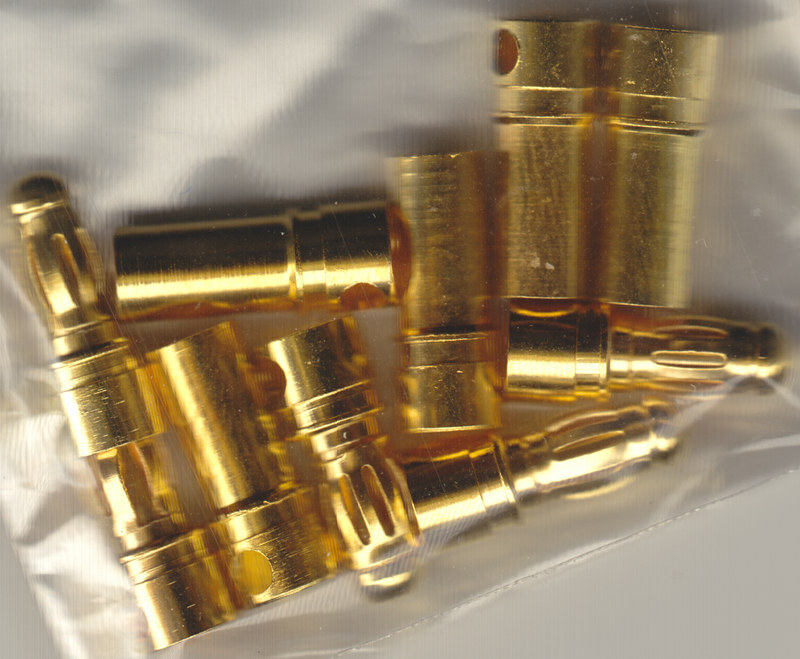 The following are some teaser scans I made of the envelope and its contents for a set of 5 bullet connectors from China. I find it hard to imagine they made any profit on this transaction. 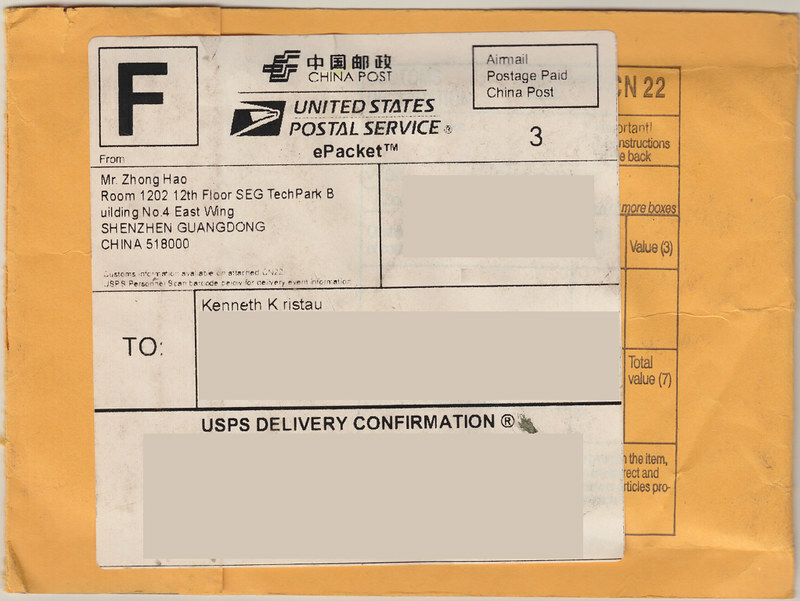 For a whopping $1.99 US, these tiny little things were shipped from the precise location indicated on the envelope (thank you, Mr. Zhong Hao) to my abode in Iowa, US of A. It is, indeed, a small, small, world after all.